What does OPPO think of my grandfathers MGB? Just got back to Texas from Tennessee for spring break. While up in Tennessee my Grandfather and I took his 1965 MG B out for a cruise. It was the first clear day in months, the weather was perfect for a drop top. The little roadster has been under restoration for about 6 years now. It's soon to be completed, only things left are very minor like the fender side mirrors. 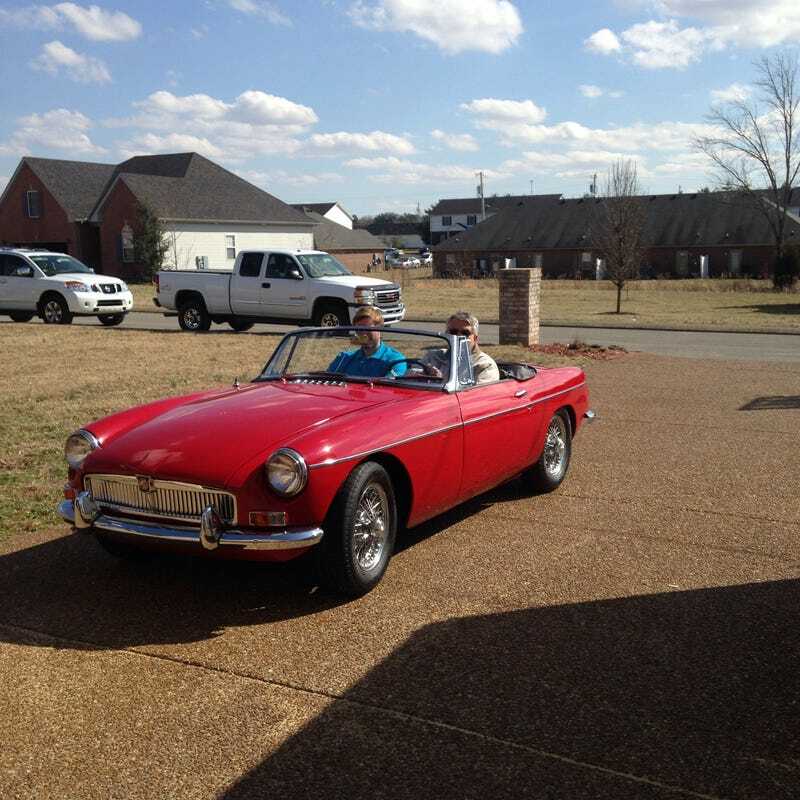 His MG has a silky smooth 4 speed with overdrive, mated to a 1.8l inline 4 cylinder engine. This car may not be the fastest but if you can hold it's momentum through the turns it's a blast. What does OPPO think of his ride? More pics in the comments.